"The Greenwood Union Church has undergone many changes and additions since its first foundation was built in 1884. This church was actually established in 1873 as the 'First Congregational Society of Greenwood', an organization without a denomination. Several members of the 'village' had been meeting since 1856 in the upstairs of the Greenwood School building. 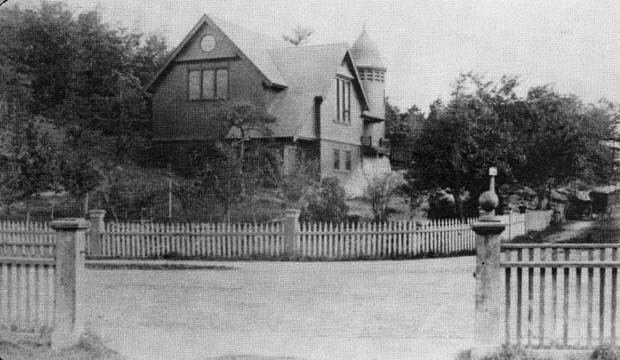 The School Department needed the room and in 1883 the congregation purchased a lot near the Joseph Eaton estate on Oak Street. The foundation was laid in 1884 and the first floor was completed in 1885. The upper floor of the structure was completed in 1895 and the dedication took place shortly thereafter. In 1903 the church was formed with the financial affairs and the property being the responsibility of the First Congregational Society while the Greenwood Union Church was responsible for religious services. The church was established after a survey was taken among the congregation as to the demonination preferred. A one-story addition was built in 1907 after the church membership had expanded and an extensive remodeling and expansion was undertaken in 1920. At that time, the building was expanded closer to Oak Street. 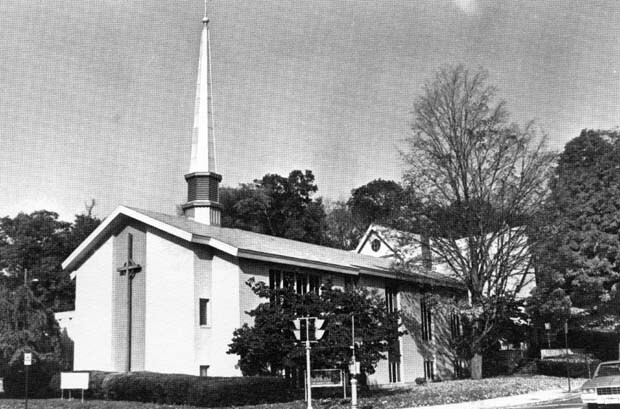 In 1935, the congregation voted to unite the First Congregational Society and the church into one organization - known today as the Greenwood Union Church. Further expansion was necessary, and in 1946 the congregation voted to purchase additional land on the East side of the church. In 1952 the church purchased the adjacent Willard Eaton property and built the Parish House in 1953. The church further expanded in 1956 after the purchase of the corner lot and the dedication of the new addition was held in 1961." -- Text from calendar. ;Captions: 1. The First Congregational Society of Greenwood, which later became the Greenwood Union Church, in 1899. -- 2. The Greenwood Union Church, prominently located in the Greenwood section. Photos courtesy of Wakefield Daily Item and Earl Bears. “Greenwood Union Church,” NOBLE Digital Heritage, accessed April 22, 2019, https://digitalheritage.noblenet.org/noble/items/show/6965.